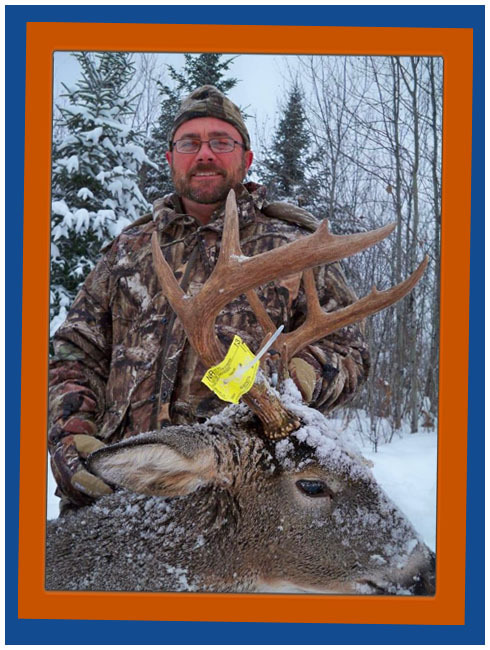 We are located in the heart of Trophy Whitetail Country and 10 minutes out of Dryden Ontario; home of the Dryden Buck! Our deer herd has increased tremendously in the last 10 to 15 years. The Whitetail Bucks in our area are large bodied with heavy racks. The largest that we harvested last year weighed in at 275 lbs. dressed and the rack scored 176 B&C. Bucks harvested from our lodge using our "8 point beyond the ears rule" have scored from 120 B&C to 176 B&C. In the area every year there are deer seen and harvested over 200 B&C.! All packages are in Canadian funds so Americans get a great discount on the rate exchange. 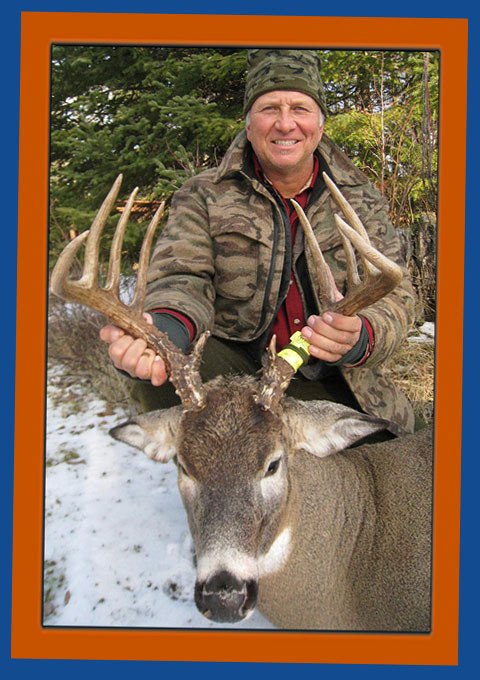 Rifle, Shotgun, Archery & Muzzleloader: Nov. 2 to Dec. 15. 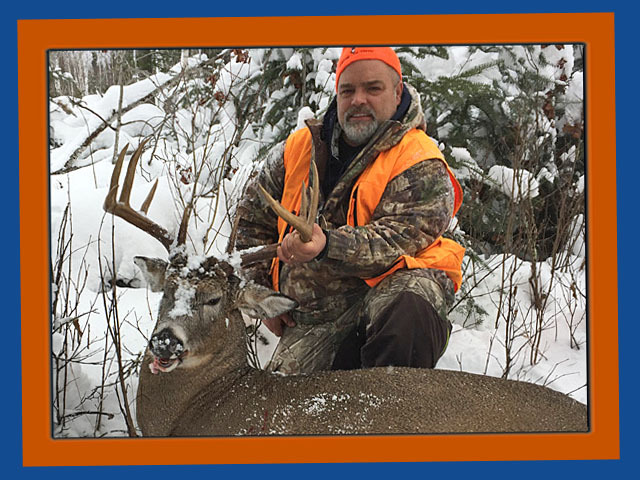 If you want to be adventurous and hunt crown land on your own we offer "lodging only" packages to hunters or if you prefer we can set you up on some prime private and crown land with active baited stands set up so you will get a clear shot at your trophy! With this package we will orientate you on the area's, check on the progress of your hunt and assist you in retrieving your Buck! free wireless internet through out camp & courtesy computer in the lodge for guests over 16 yrs old or children supervised by an adult. use of the lodge, big screen TV, Games room etc. 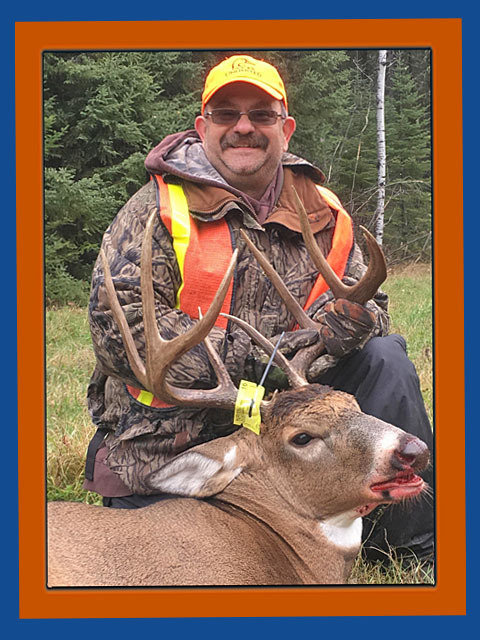 Assistance with hanging & weighing your Buck! MONSTER BUCK ALERT!! 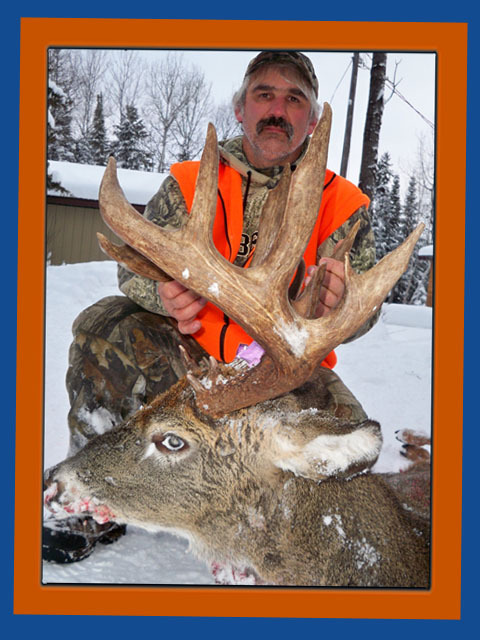 - Marty Pasek harvested this amazing Whitetail Buck in 2010 - More story and details coming soon. 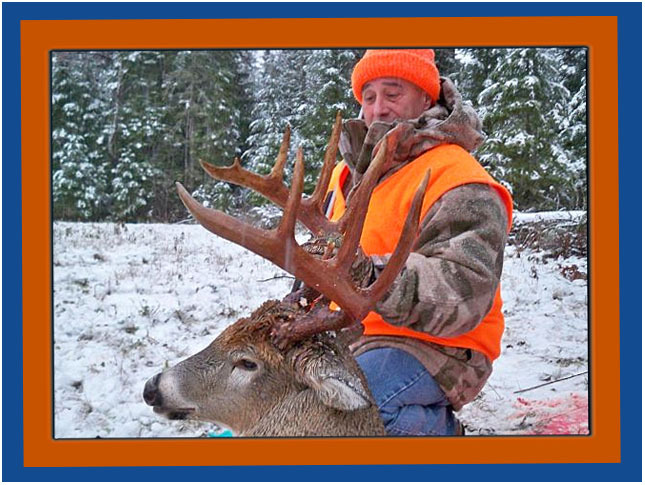 Deposits for Trophy Deer Hunting - Package 1: $800.00 per person within 15 days of booking and Payment in full by October 1st. All deposits are non-refundable but are transferable.